This is the culmination of my day, the meal where my previous recipes come together to make enchiladas. Okay, well not the chocolate syrup (I promise). I really like enchiladas. 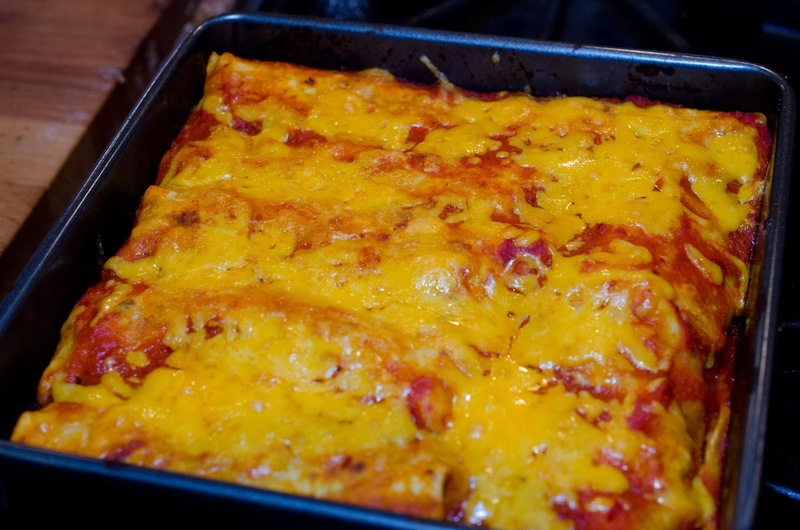 My sister Adrienne makes very yummy enchilada casserole, but I wasn't planning on a casserole. My plan was the rolled up version with my own spin. In my refrigerator I had some ground turkey thawed and needing to be put into something. Oh my goodness was this delicious. 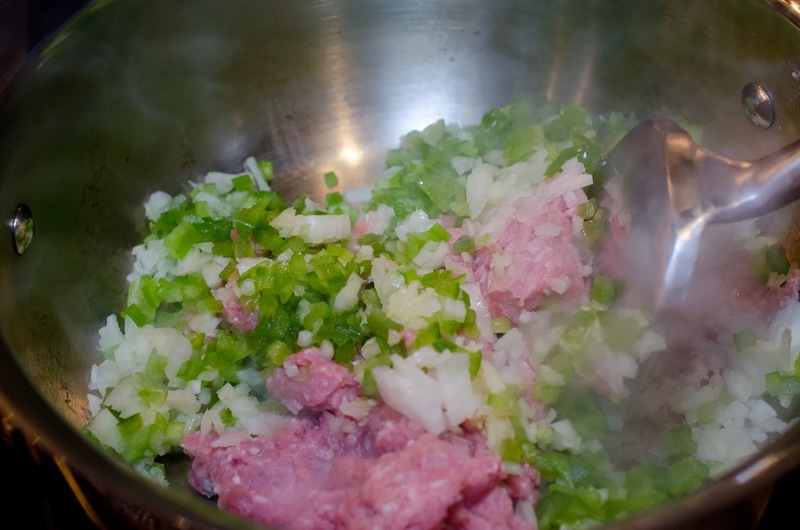 Salt, Pepper, 4 cloves Garlic, 1 green pepper, 1 yellow onion, and 2 lbs. 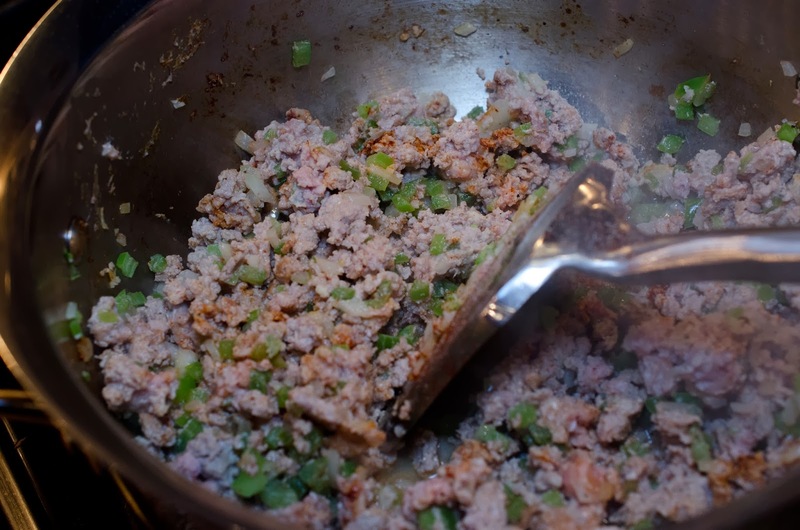 Ground Turkey. 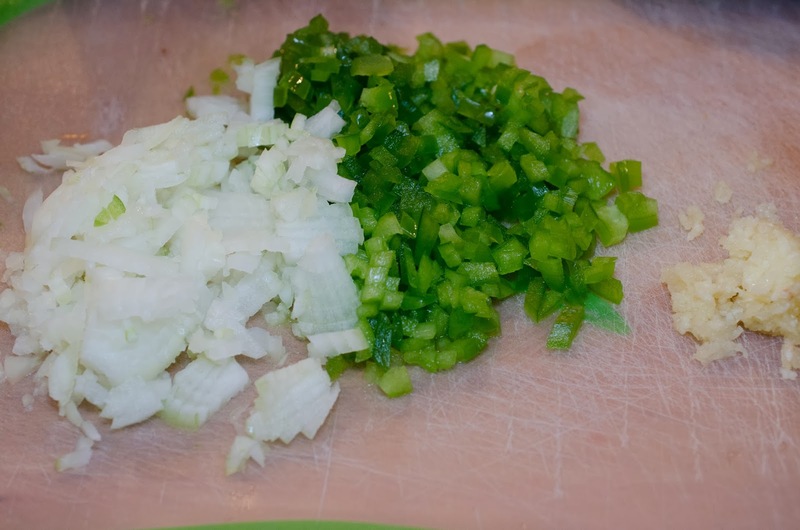 Dice onion, bell pepper, and press garlic. 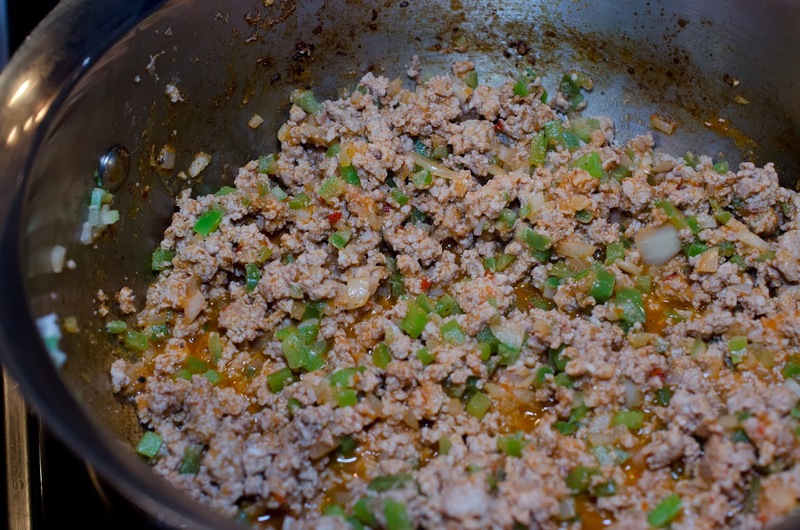 Saute turkey, bell pepper, onion, and garlic together over medium flame. 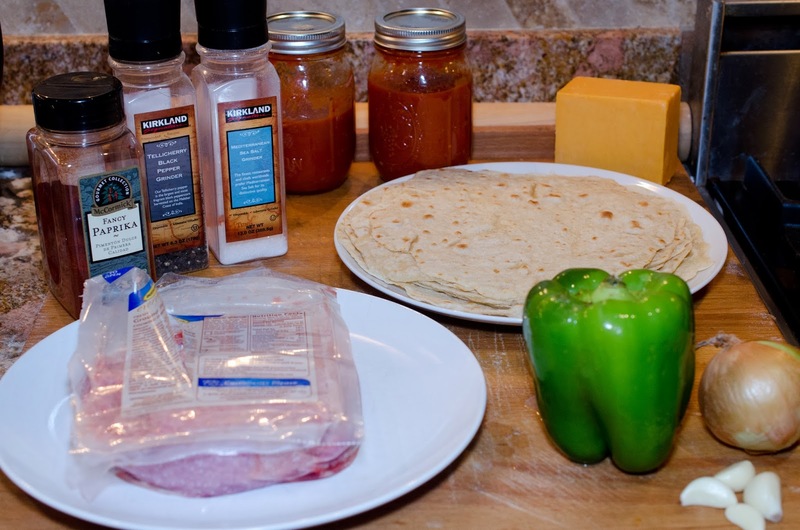 Sprinkle salt, pepper, and paprika according to your preference. 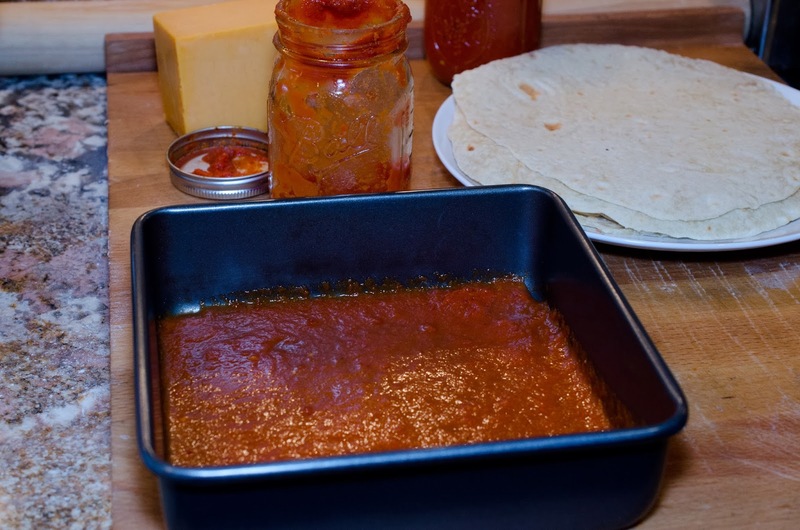 Pour 1/2 cup enchilada sauce and stir. 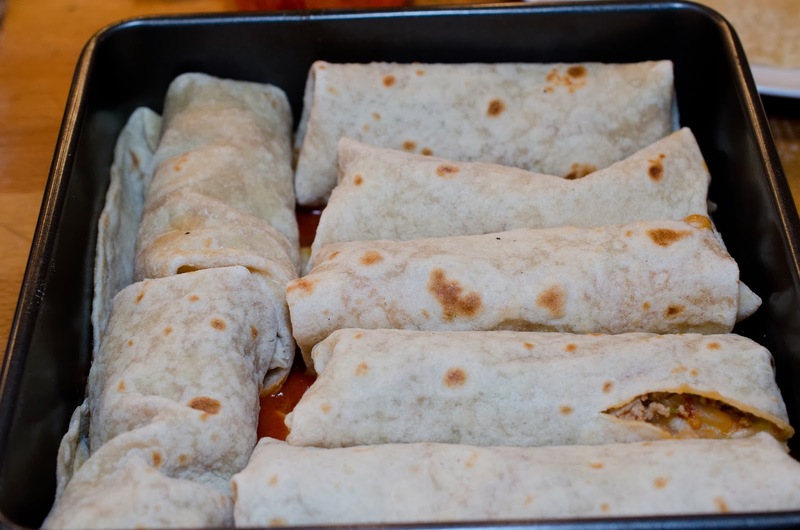 This is ready to join with the tortillas. 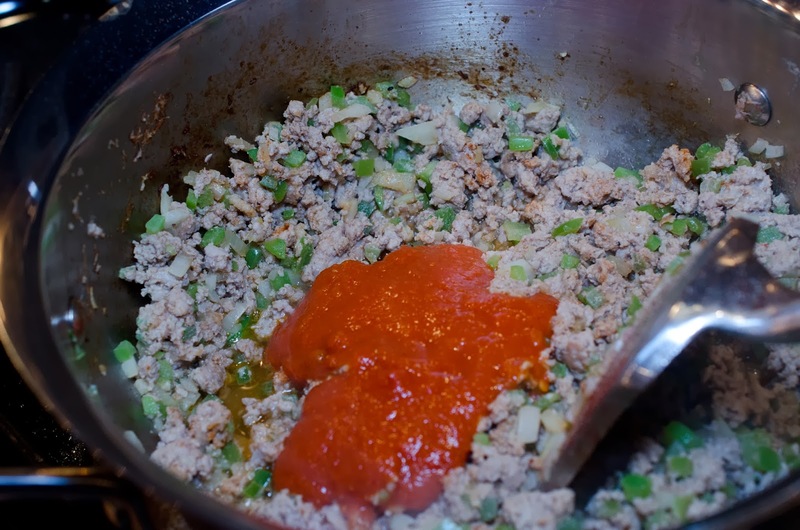 Add just enough sauce to cover the bottom of the baking dish. Use a 9x13 pan if you have one. 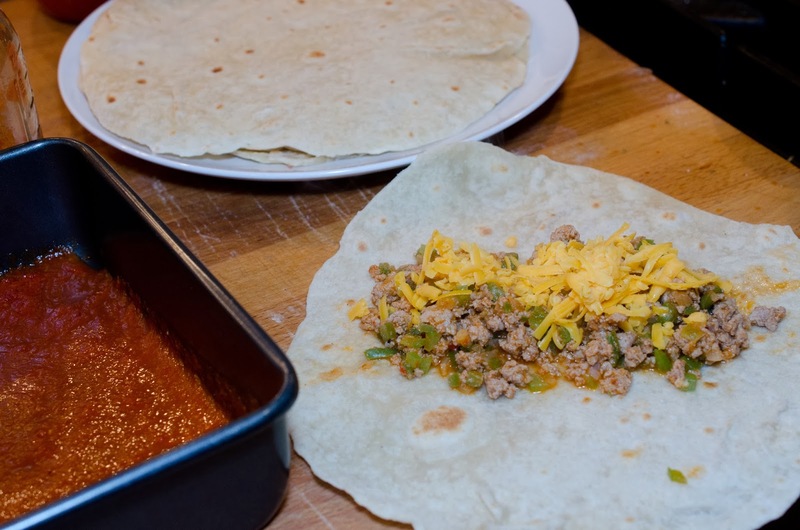 Add 1/3 cup meat to tortilla, a sprinkle of cheese, and roll. pan, I'm sure you won't need to do this. 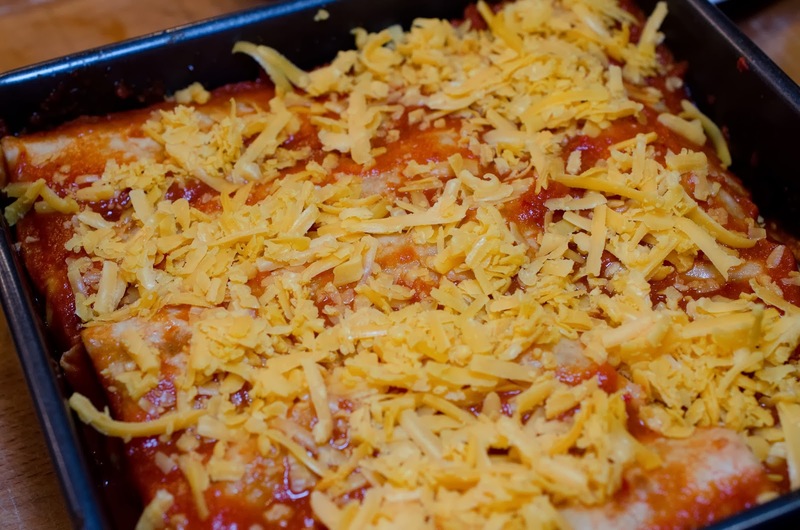 Place enchiladas in pan. 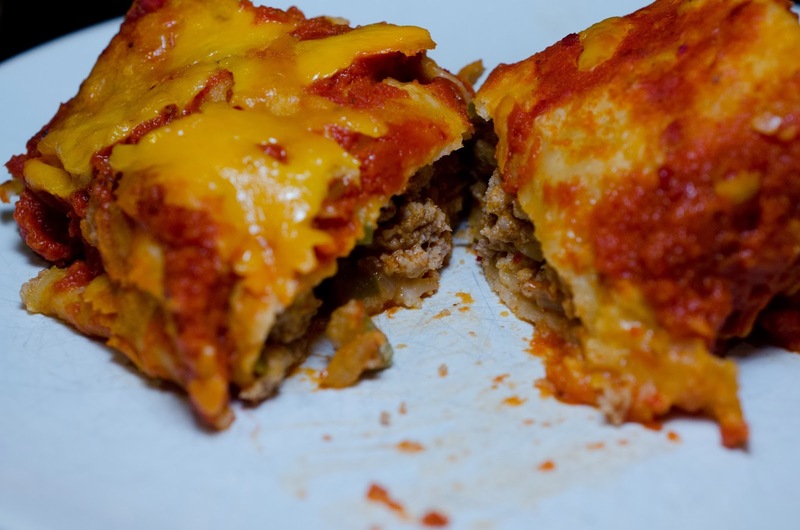 They have emerged, joined together as enchiladas.